To begin the process, you must first register for a Patient Portal account. Follow the below steps. Please keep in mind that you must connect your account after you have registered. You will receive an e-mail at the address provided containing a link to login. Click this link. You may need to check your junk mail if you do not see the e-mail in your inbox. Now that you are registered, you must connect your Patient Portal account with your chart. You will need a connection key to do this. You should have received this at your appointment, but you can contact us if you do not have it. While logged in, click Connect. Select our office from the list. Enter your Connection Key: Please call our office to receive your personal connection key if you do not have one. Your connection key looks like this: FB4B75A6-1384. A connected account provides you new ways to get in touch with us. You can send secure messages directly to our staff using the Messages feature. Click Messages on the Home Screen. In the Provider box, click and choose your Provider. In the Type box, click and choose the Type (Appointment, Billing, or Personal Health). In the Message box, type your message. 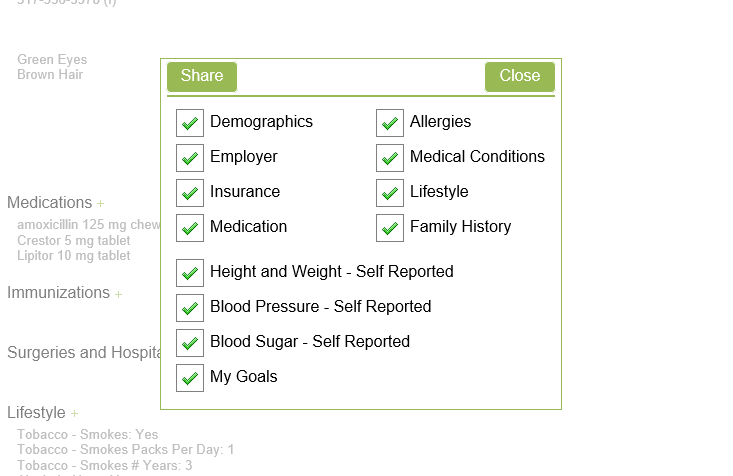 This portal allows you to document all of your personal health information electronically. Once documented, you can share it securely with our office. Click About on the left side of the Home Screen. Click on each section and update your information (Demographics, etc.). Review the contents of your information. Click Share and verify you receive a verification message. Because your portal account is connected with your chart in our system, you will have access to some of the information that is on file like medications, allergies, problems, lab results, and immunizations. Click Chart on the Home Screen. If you had a recent visit, click the Clinical Summary for that date. 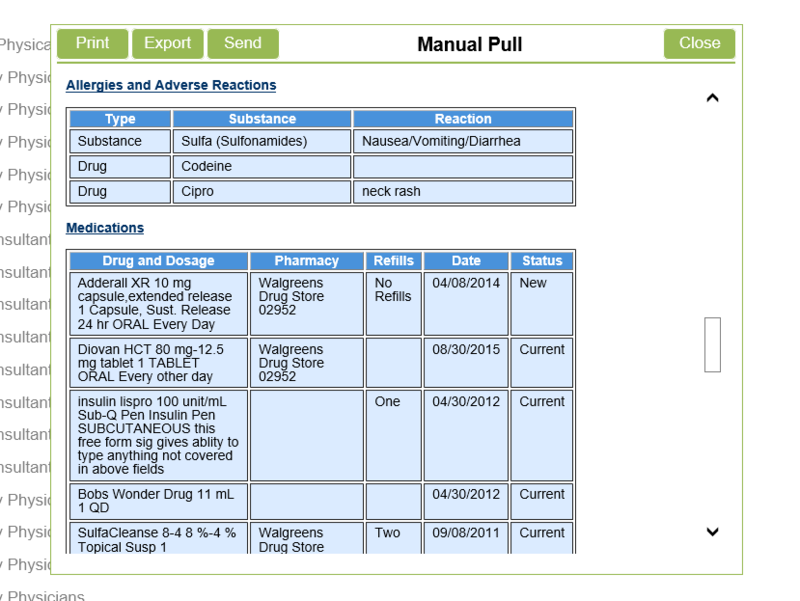 If you have not, click Pull Clinical Summary. You can choose to print or export your file to share with other Providers. 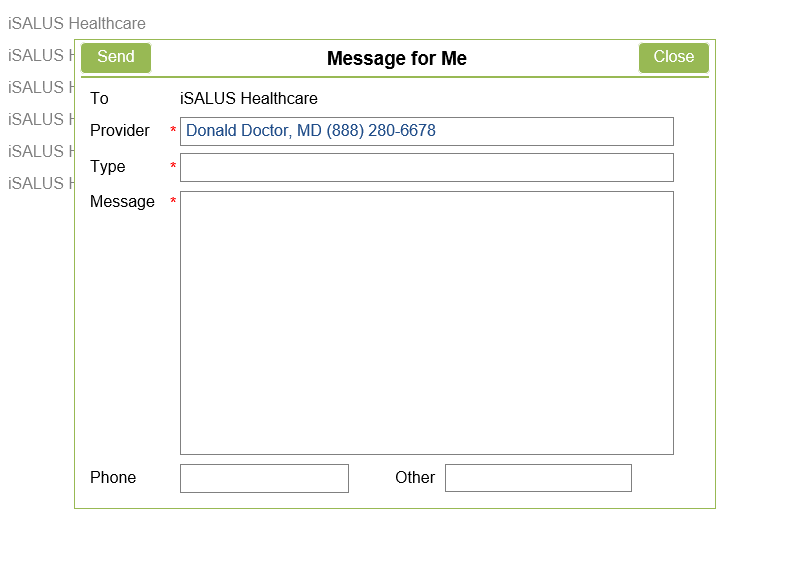 If your Primary Care or other Provider office uses a DIRECT e-mail system, you can send a message to that address.